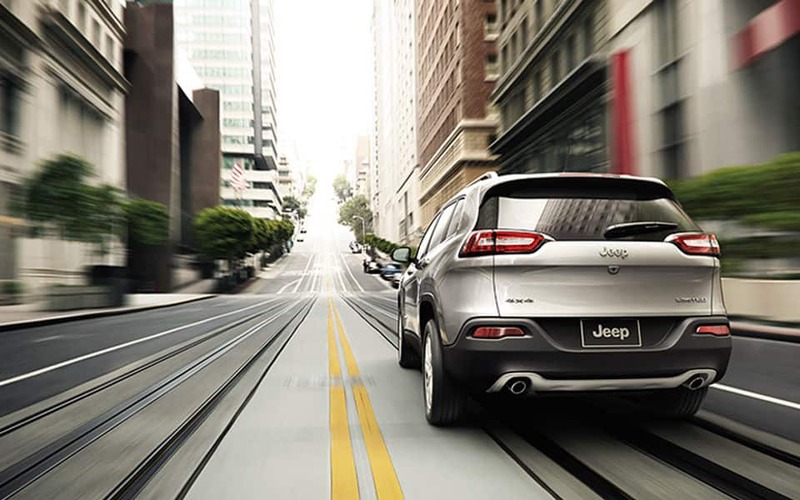 The 2015 Jeep Cherokee is offered with four-cylinder or V-6 power. 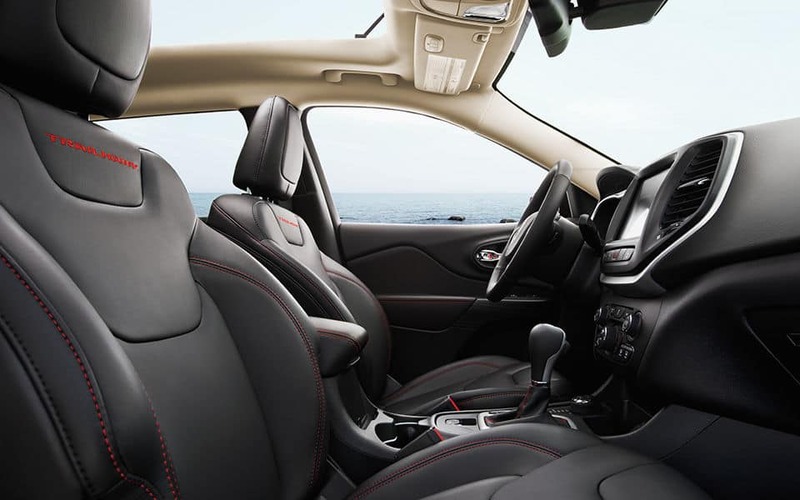 All models have a nine-speed automatic transmission. As a true off-roader, the Cherokee arguably competes with models like the Nissan Xterra and Toyota 4Runner in addition to crossovers like the Chevrolet Equinox and Subaru Outback. V-6-powered Cherokees now have fuel-saving stop-start technology. Trailhawk models can now have ventilated front seats, and Latitude trim levels get cloth seat fabric. A tonneau cover is a stand-alone option, and the collision warning system now incorporates autonomous braking. Cherokee features a class-exclusive nine-speed automatic transmission and when mated to the 2.4L MultiAir2® Tigershark I4 engine achieves a Best-in-Class driving range of up to 490 hwy miles on one tank. The power-train improves fuel efficiency by 45% and features an industry first disconnecting rear axle for maximum fuel efficiency while providing superior 4x4 performance. The Cherokee features leading capability with three innovative 4x4 systems. Get Best-in-Class capability with Cherokee Trailhawk and its standard Trail Rated Jeep Active Drive Lock 4x4 system with 4-Low and rear locker. The Jeep® Active Drive II 4x4 system with low-range is great for rock crawling and has a neutral mode for flat towing behind an RV. The 2015 Jeep Cherokee has over 70 available Safety and Security features including: Parallel and Perpendicular Park Assist, ParkSense front / rear Park Assist, Blind Spot Monitoring (BSM) and Cross Path Detection with dual radar sensors to monitor driver blind spots, standard 10 airbags with standard full-length side-curtain & side thorax airbags, LaneSense Lane Departure Warning, and Adaptive Cruise Control with Stop and Go. For more information on this model, feel free to give us a call!